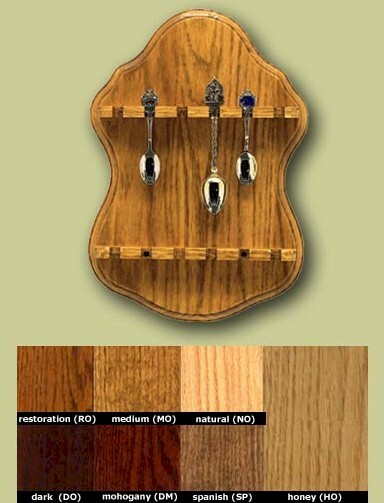 This quality spoon rack is a solid, heavy oak and is perfect for a small but precious set of collector spoons. Ideal for that small space in the kitchen or breakfast nook, this rack measures 8"W x 11 1/8"H x 1 3/4"D, with 4 ½" between rows. 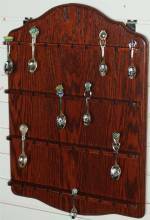 Rack holds 12 collector spoons and comes in 7 finishes. See next page for finish colors.